As a way of helping reduce the symptoms of many respiratory conditions, breathing salt air is an excellent form of therapy that many people use regularly to help them breathe more easily. The beauty of this kind of remedy is that it is completely natural and wholesome, which makes it highly attractive to those that prefer not to have to rely on drugs and strong medications. If you are looking for alternatives to your corticosteroid inhaler to help manage your own breathing problem, this could prove to be an excellent find! The correct term for this kind of therapy is "speleotherapy" derived from the Greek "speleo" which literally means "cave" and represents the sodium chloride (salt) enriched caves that people used to visit in order to breathe in the healthy, cleansing and healing salty air they contained. Another term often used in its place is "halotherapy" which is similarly derived from the Greek "halos" which means salt. The treatment consists of nothing more than the patient entering a salt mine and breathing in the healthy air for several days at a time. In some countries this is actually very popular and whole clinics and health spas have grown up around these mines specifically for this purpose. In places where there are no mines handy, special "salt rooms" have been created in health clinics that provide a similar service with salty air the people breathe in while they are occupying the room. The time spent in these room varies from person to person but is generally sufficient for the treatment to have its effect over time. The way in which it works is really very simple. When a person breathes in the salty air, it gets into all the respiratory airways and starts to gently cleanse these of debris such as dust, mucous and phlegm and infections that are caused by bacteria or infectious micro-organisms that infiltrate the bronchial system. Because the air breathed is charged with microscopic particles of sodium chloride, it can access all the airways right down to the tiniest tubes. That way it can soothe any inflammation that is present in the delicate membranes while helping the body's own self-cleansing system to clear the blockages and kill any infections. The upshot to all this is that the person is able to breathe more easily thanks to their airways having been opened thanks to reduced inflammation and cleared of blockages from airborne particles and phlegm. And it's all accomplished without any medications or drugs. 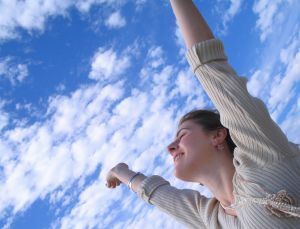 Continued speleotherapy in the long term can help sufferers of many breathing conditions to lead a better life thanks to simply being able to breathe more deeply and with less coughing, wheezing or shortness of breath. Conditions such as asthma, COPD, bronchitis, allergy based problems such as hay fever, smoking related conditions and those caused by continuously breathing polluted air all respond favourably to this treatment. You can learn more about the portable form of this remedy by following the link to our review of the salt pipe inhaler by Salitair, where you'll learn about how using this small, portable and easy-to-use inhaler can really help reduce reliance on a medicated inhaler or nebuliser.